"A friend recommended Keys to Freedom Driving School because of their quality and reliability." "Learning to drive was much easier than I expected." "Mel was very easy to learn from and understand." 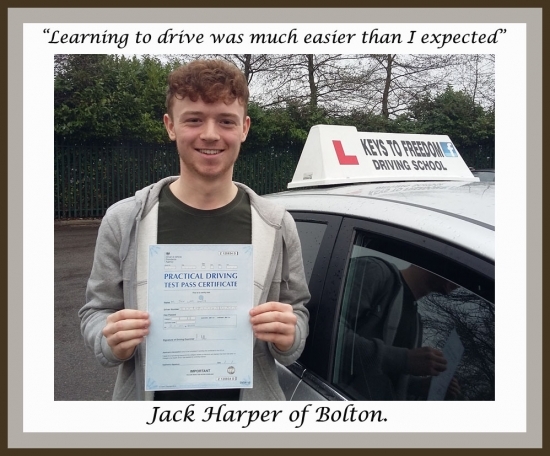 "He gave me very clear advice and routines, I found these especially useful when performing manoeuvres." "I would recommend Keys to Freedom because they were very reliable and always on time." "They were understanding if I needed a lesson to be moved to another time."